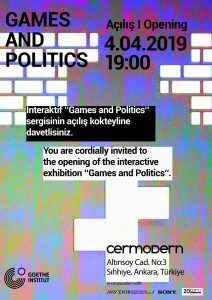 Goethe Institute Ankara and the Department of Communication and Design kindly invite you to Goethe Institute Ankara for presentation ‘Digital Dementia? 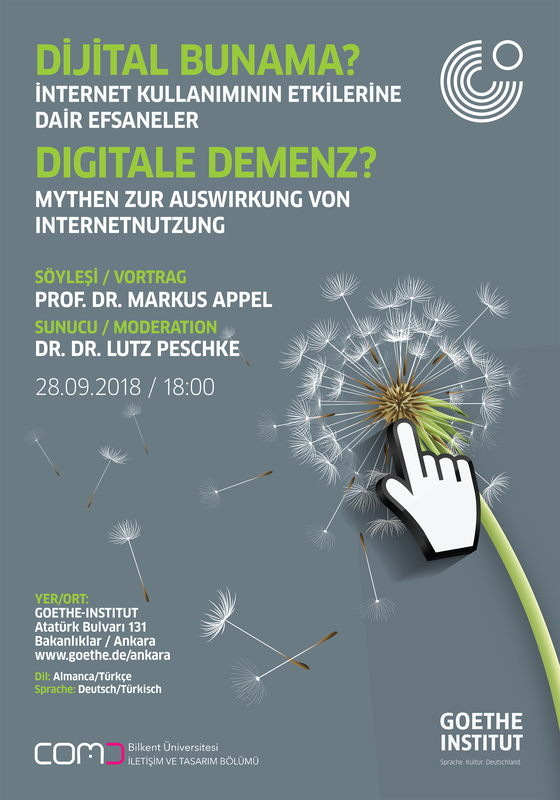 Myths about the Effect of Internet Usage’ of Prof. Dr. Markus Appel from University of Würzburg on September 28, 2018 at 18:00. In the last 20 years, computer and online media changed substantively our life world, as well as in concreto the lessons at school. This digital turn is a cross-cultural process which has different effects on respective cultures according to its perception. There are obviously ‘myths about the negative effects of digital media in popular books and mass media, e.g. concerning of learning and reading competences. These myths are distributed in the everyday life as well. The question is: Do digital media make us really thick, stupid, aggressive, lonely, ill and unhappy, as we believe commonly? Aiming a more objective presentation of the scientific findings and including the big amount of survey from different disciplines, Prof. Dr. Markus Appel would like to give answers which will be critically discussed with you in a talk moderated by Dr. Dr. Lutz Peschke from Bilkent’s Department of Communication and Design. After the presentation and talk, there will be a little reception. 4th İstanbul Design Biennial, Workshop, "LAB OF LABS"